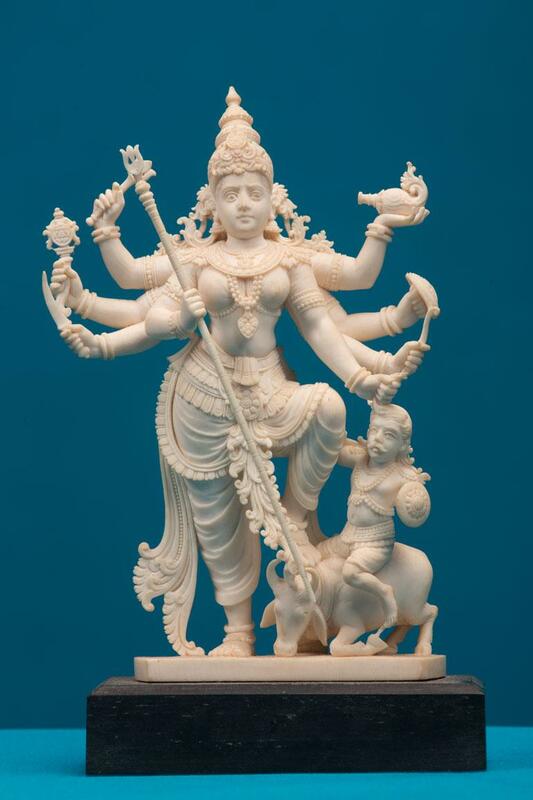 MahishasuraMardini is a form of Goddess Durga. She is the Goddess who killed the buffalo demon Mahisha. The image has a young and ferocious face with her hair in Jata-makuta. Here the Goddess is portrayed with eight hands and is seen killing the demon Mahisha. Mahisha is pictured as sitting on a buffalo below the Goddess.